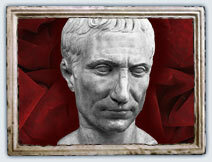 A superb general and politician, Julius Caesar (c.100 BC – 44 BC / Reigned 46 – 44 BC) changed the course of Roman history. Although he did not rule for long, he gave Rome fresh hope and a whole dynasty of emperors. Born into an aristocratic family in around 100 BC, Julius Caesar grew up in dangerous times. Rome could not yet handle its own size and power. The nobility were widely discredited and order had given way to chaos. The only clear alternative was military dictatorship. Caesar allied himself against the nobility. 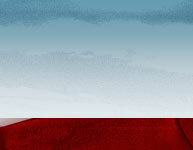 As his career took off, he won a number of political offices, not always by reputable means. By 63 BC, he had become a well-known, but controversial figure. Despite his notoriety, he was appointed governor of Farther Spain. This was a lucrative position, because it offered him the chance to plunder the local inhabitants at will. He returned to Rome in 60 BC and, the following year, was elected consul, the highest office in the republic. Now holding real power, Caesar allied himself with two key people, Pompey and Crassus. Pompey was a war hero who had been badly treated by the Senate, while Crassus was a multimillionaire. The two men were rivals but Caesar was able to bridge the gap between them and the three men formed the powerful ‘first triumvirate’. As consul, Caesar wanted to pay off Pompey’s soldiers by allocating them public lands. This was unpopular, so to get the measure through he engineered a riot and used the chaos to get his own way. He then used his power to secure the governorship of Gaul (modern day France and Belgium). Gaul gave Caesar a power-base to recruit soldiers and conduct the military campaigns that would make his name and secure his fortune. When battling foreign enemies, Caesar was ruthless. Besieging rebels in what is now the Dordogne part of France, he waited until their water supply ran out and then cut off the hands of all the survivors. He now turned his attention back home. His triumvirate was badly strained. Pompey was increasingly jealous of Caesar’s success and Crassus still hated Pompey. After Crassus was killed in battle, Pompey and Caesar drifted apart, ultimately finding themselves on opposing sides. By now, Caesar was very successful, but he had many enemies and found his position and his life under threat. He believed the only way he could protect himself was by seizing power. In January, 49 BC, he led his troops across the Rubicon River into Italy and started civil war. Caesar scored some early victories and, by 46 BC, was dictator of Rome. After a year spent eliminating his remaining enemies, he returned home. Generous in victory, he was kind to his defeated rivals, giving them all amnesties and even inviting some to join him in government. Yet his position remained insecure. Without a son of his own, he needed an heir. Caesar quickly adopted his great nephew, Augustus. He also moved fast to strengthen the northern borders of the empire and tackle its enemies in the east. At home, he reformed the Roman calendar, tackled local government, resettled veterans into new cities, made the Senate more representative and granted citizenship to many more foreigners. But his rule would be cut short. Old enemies joined forces with some of his supporters, fed up of his dictatorial style. On March15, 44 BC, the Ides of March, Caesar was assassinated in the Senate. Although his own rule was unremarkable, his victory in the civil war replaced a republic, ruled by the consuls and the Senate, with an empire, reigned over by emperors and their hereditary successors. It was the start of a brand new age for Rome.